Through years of handling varied claims for businesses from various industries, we have the experience and exposure to manage all types of claims. Today, in the field of claim handling assistance, we offer you the best solutions. We have also handled major insurance claims. Our strategy based approach simplifies the technicalities and the complexities involved in claim handling procedures. We maintain congenial relationships with Surveyors and insurers to achieve results within acceptable timelines. We tailor our services and work to see where our capabilities could assist with the provision of claim handling services. We offer efficient and effective pre and post loss assistance in accordance with clients' needs. 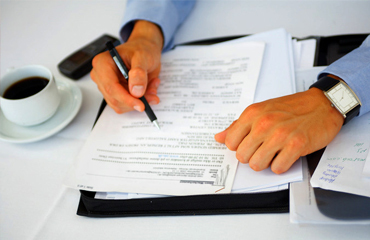 We assist the client with the process of claim handling through our wide network of offices. We also provide a comprehensive Insurance Claims Manual for use of the clients relating to their Insurance Portfolio, providing overall advice on claims matters. In the case of major insurance claims, we endeavor to prevail upon Surveyors and Insurers to consider making "On Account" part-payment(s), followed by balance settlement of claim(s).